From mid-March through to the end of April, the R.V. Celtic Voyager was tasked with the mapping of the seabed off the West Clare coast. 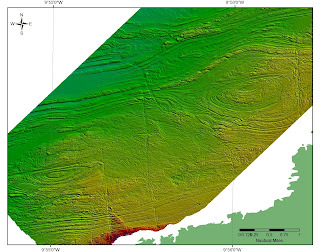 Due to the ideal wave regime, favourable seabed morphology and proximal port facilities, this area has been identified as a suitable region for the future deployment of wave energy converters. Sustainable Energy Authority Ireland (SEAI) leads a project to help realise this potential. 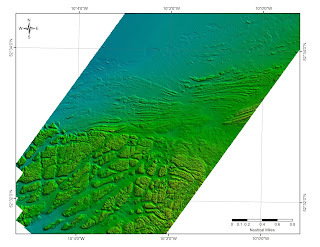 The INFOMAR program is collaborating with SEAI to provide them with a detailed understanding of the seabed morphology and surficial geology over this extensive area. Considerations of these environmental factors are critical to the planning and development of such marine infrastructure. Despite challenging conditions for the vessel’s crew and survey team due to prolonged adverse weather, good coverage was achieved close to the coast. 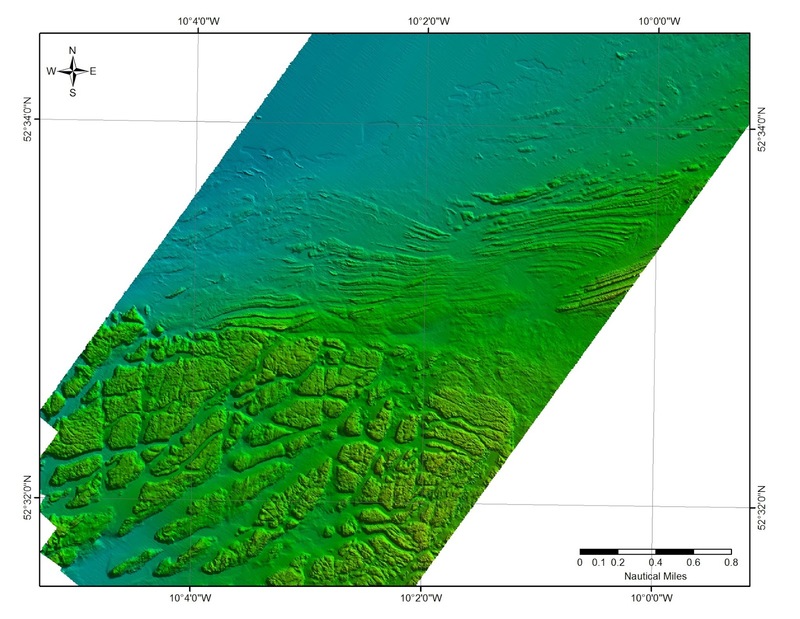 The image below shows the extent of the multibeam and geophysical data collected by INFOMAR in support of the SEAI initiative. The acquired multibeam data show some spectacular structures in the siliclastic bedrock and a Namurian/ Carboniferous contact.